breaks to bring quality ballet and dance education and outreach to cities and far-flung communities. This is their seventh year in Santa Fe (one of their favorite places to perform) and this year the company will also travel to Mongolia! A mission of “Stars” is to bring dance education programs, consisting of master classes, pre-performance lectures, and community outreach projects, to build better awareness and overall experience with the art form and offers free tickets for underprivileged children. To learn more about Stars of American Ballet, click here and to learn more about Daniel Ulbricht and his projects, click here. Indian art collectors and artists from around the world make the pilgrimage to Santa Fe -- whether they intend to buy or not. 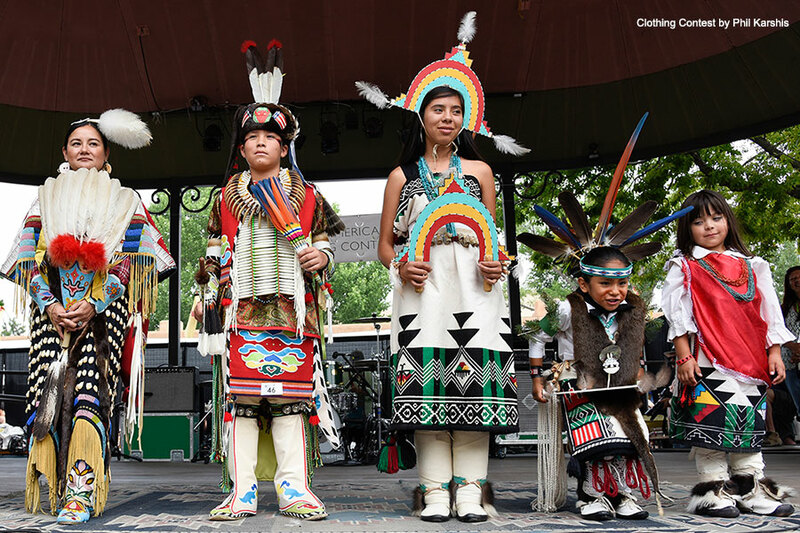 The Southwestern Association for Indian Arts (SWAIA) sponsors the event, which is estimated to bring more than 80,000 people and over $100 million in revenues to the state and region. 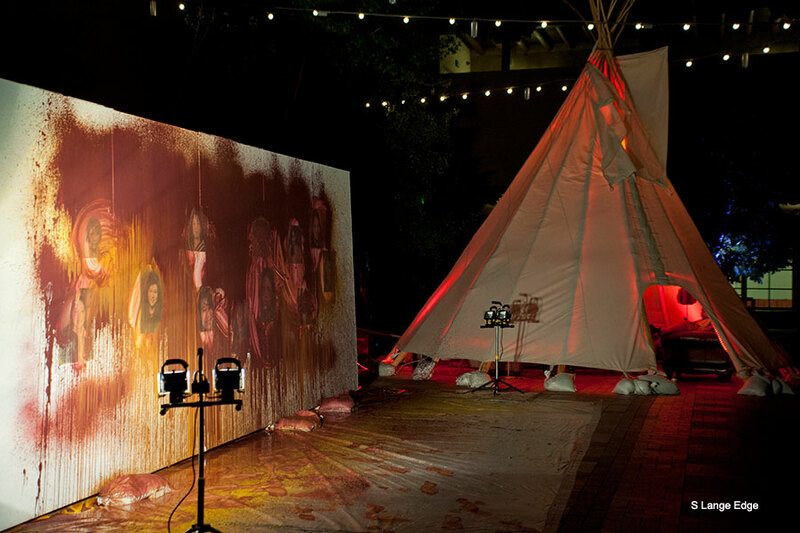 Market artists represent more than 200 tribes from across the United States and Canada. Artists retain 100% of the proceeds of the sales of their artwork. Many participants claim to make one-third to one-half of their yearly income at Indian Market. Founded in 1922, this year celebrates Santa Fe Indian Market’s 96th year as the world’s largest and most prestigious Indian art market. The Southwestern Association for Indian Arts (SWAIA), the 501(c) 3 non-profit organization that produces Santa Fe Indian Market, has drafted and maintains standards of authenticity to ensure that the artworks sold at Indian Market are original and of the highest quality. According to real estate and financial professionals, if you are considering buying another home, sooner may be better that later. According to a recent Forbes Magazine article, house prices steadily rose every month last year and the trend is continuing. The largest gains came in the later half of 2016 and showed a 5.61% increase nationally. Experts expect prices will continue their climb, but gains will slow. "We believe price increases will hold steady despite slowing sales growth, because homebuyer demand is stronger now than it was at the same time last year, and because we foresee a small uptick in homes for sale," says Nela Richardson, chief economist at real estate brokerage Redfin. "With the current high consumer confidence numbers and low unemployment rate, affordability trends do not suggest an immediate reversal in home price trends," said David Blitzer, chairman of the Index Committee at S&P Dow Jones Indices. Even if you are lightly entertaining a home purchase in the Santa Fe area, please drop us a line, we would love to show you homes. Now is a good time. Click here to go to the Forbes Magazine site. Santa Fe is original in so many ways. One example is our International Folk Market, which is the largest, most innovative, high-quality folk art market in the world that was created in Santa Fe. The International Folk Market (IFM) and its innovative financial model keeps growing and growing. This is the Market’s 14th year and more than 160 master artists will represent 53 countries in this vast and colorful international bazaar. Artists will bring jewelry, beadwork, basketry, carvings, ceramics, glasswork, metalwork, paintings, mixed media, sculpture, textiles, musical instruments, to name a few mediums. Some are honored tradition-bearers, while others are young creators reinterpreting ancient forms. Their art ranges from highly affordable to museum-quality masterworks. All artists receive ninety percent of their earnings and they return home and invest in community improvements such as clean water and food production. In the past 13 years artists at the Market have earned a combined 25 million dollars. If you love art, it is a must see. And please give us a call, text or email if you are in town. 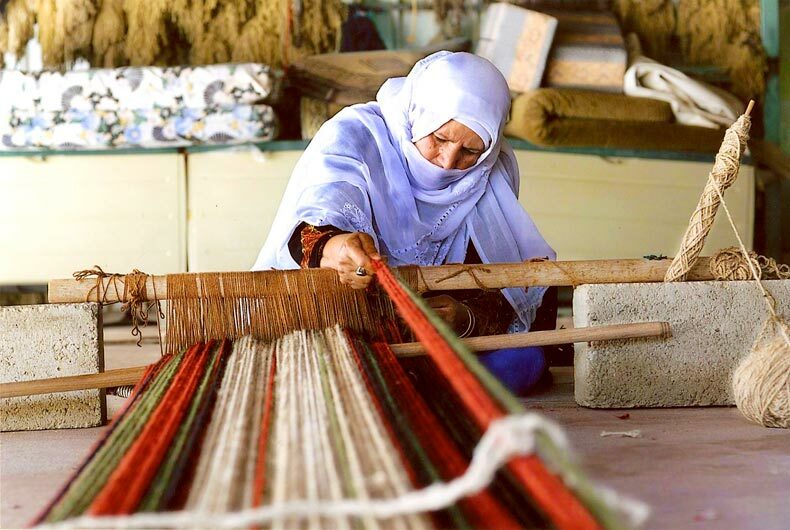 Click here to go to the Folk Market website and here to go to an interesting Forbes Magazine article about the IFM. Like all of the nation, Santa Fe is getting ready for the 4th of July weekend! 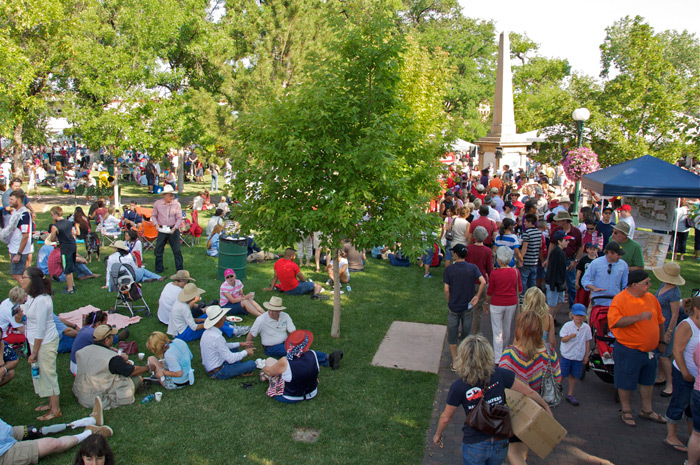 The largest local tradition in Santa Fe is Pancakes on the Plaza, a fundraiser sponsored by the Rotary Club. Not only do you get to eat delicious, interesting pancakes outdoors under the trees on the Plaza, there are also art and craft booths, kids activities, vintage cars lining the street, live music and an auction. The proceeds of the event make a big difference to the lives of people in need. Proceeds go to non-profit organizations that meet the Rotary criteria. Pancakes on the Plaza is now in its 42nd year and continues to be one of Santa Fe's favorite yearly events, drawing large numbers of locals. If you happen to be in Santa Fe on the 4th, stop by the Plaza for breakfast and as always, do not hesitate to give us call, text or email. We would love to go to work for you! Click here to go to Pancakes on the Plaza website. 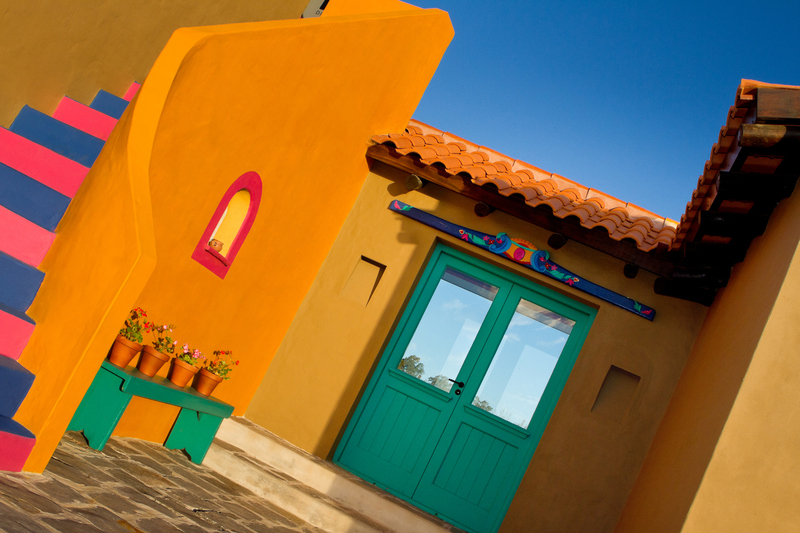 Santa Fe is a well-known art and cultural destination and one reason why is The Santa Fe Opera. This year marks its 60th anniversary and the line-up is more extraordinary than usual. The Opening Weekend Celebration begins June 30, which is a fully immersive and exclusive opera, cuisine and Santa Fe home experience. The festivities include formal dining on the scenic opera grounds, a behind-the-scenes tour of production facilities (with catering), meet and greet with the stars, private dinners in some of Santa Fe’s most impressive homes, Sunday brunch and of course, the opening night of the first opera, Die Fledermaus.Dating from 1874, Die Fledermaus is considered by most critics to be the greatest of all Viennese operettas. Waltzes as intoxicating as champagne abound at a Prince’s masked ball, where elaborate plots are uncorked and romantic assignations go astray. Another notable production of the Santa Fe Opera this summer is the (R)evolution of Steve Jobs, which has won national attention for its unique adaptation. To learn more about the Santa Fe Opera, click here. And as always, if you are in town, please let us know if you are interested in viewing any Santa Fe homes. 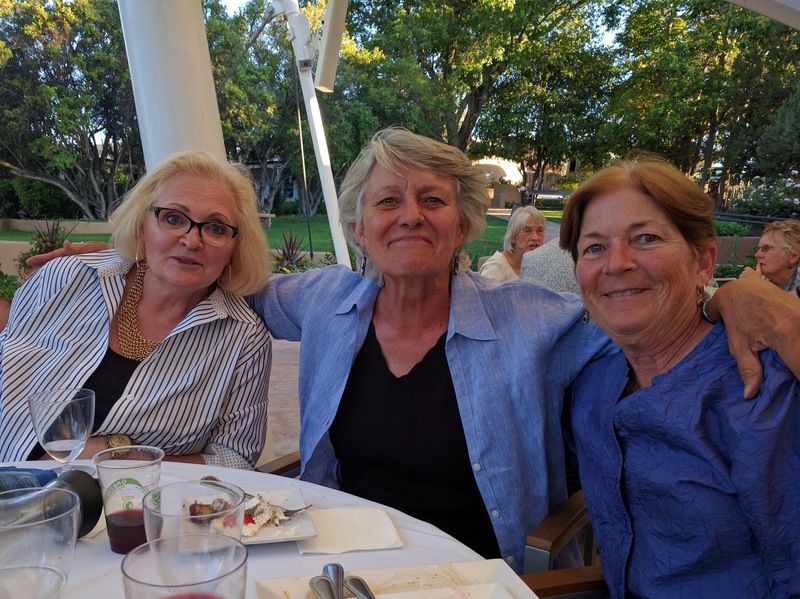 Photo: Susan Orth (center) with friends at the Santa Fe Opera. There has probably been the hunger-inducing aroma of food floating through the air of downtown Santa Fe since the city began in 1712. Now, more than 300 years later, Santa Fe has developed into a national, if not world-renowned, a cornucopia of delicious diverse food. 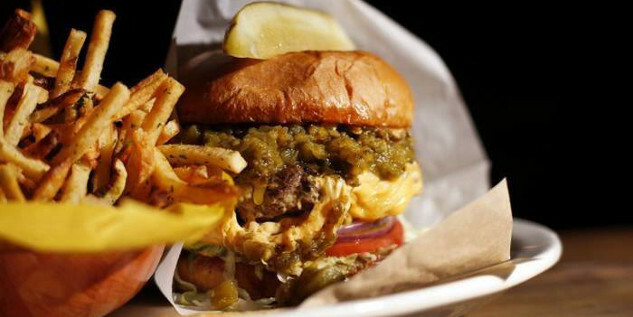 Besides multiple high-star restaurants, Santa Fe also hosts multiple food trucks that offer everything from unassuming walk-up fajita carts and burrito stands to fully tricked out trailers and walk-up diners. A local favorite is Bang Bite Filling Station where most days you see a crowd of people lined up to order and then enjoying their gourmet burgers and fries on the picnic tables under the sun. Owner and operator Chef Enrique Guerrero gave up the stress and expense-laden world of fine dining in 2013. “In a restaurant I was tied to 70-80 hours a week. Here, if I work 40 hours, I’m working too much. It’s been very fun because by 3 o’clock I’m done,” he says. Fans of food trucks say they are attracted to smaller, more specialized menu options and often the people surrounding them. “I like being able to take my food to the Plaza and people watch,” said food stand enthusiast Jaime Ortiz, standing next to El Molero Fajitas cart on the Plaza, fajita in hand. Food stands can be elusive despite the fact that seemingly dozens of vendors line Cerrillos, Airport and adjacent roads. Below are a couple of links to lists of some favorites. And, as always, if you are in town, pleased drop by, email or call, we would love to show you the beautiful homes Santa Fe has to offer! At 7,000 feet Santa Fe is the highest capital city in the United States and due to its high-altitude location at the tail-end of the Rocky Mountains, the City Different basks in 320 days of sunshine, vivid blue skies and some of the purest air in the country. Surrounded by 1.5 million acres of national forest and other public lands, locals and visitors alike have a lifetime of exploration at their doorsteps. One breath-taking, nearby short hike is within Bandelier National Monument, which is about a 45-minute drive from downtown Santa Fe. The two-mile loop trail to the Tsankawi Ruins is a foot-carved pathway that takes you atop a mesa and through the largely unexcavated village that is the ancestral home to the Tewa-speaking Pueblo people, descendants of the Chaco Canyon Anasazi. Besides affording sweeping views of the Rio Grande Valley, Jemez Mountains, and the Sangre de Cristos, the walk also gives you an opportunity to explore small caves, scramble up ladders, and generally imagine what life atop the mesa must have been like during the 16th century. These are some of the best Pueblo ruins around, so don’t miss them if you want to know for about the area’s history. City Different Realty serves Los Alamos and White Rock also and if you come to the Santa Fe area, please drop us a line or stop by the office. We would love to go to work for you! 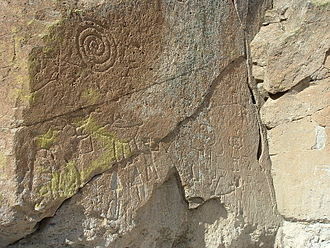 Click here to go to the Bandelier National Monument website.